Well here it is, my first blog post. I’ve been wrestling with the idea of starting a blog for months. When I finally decided to go for it, I quickly learned that choosing a name would prove to be a daunting task. I googled and googled… searching for inspiration. I came up with nothing. I polled my friends and family. No luck. I looked through my favorite food magazines and cookbooks. Still nothing. 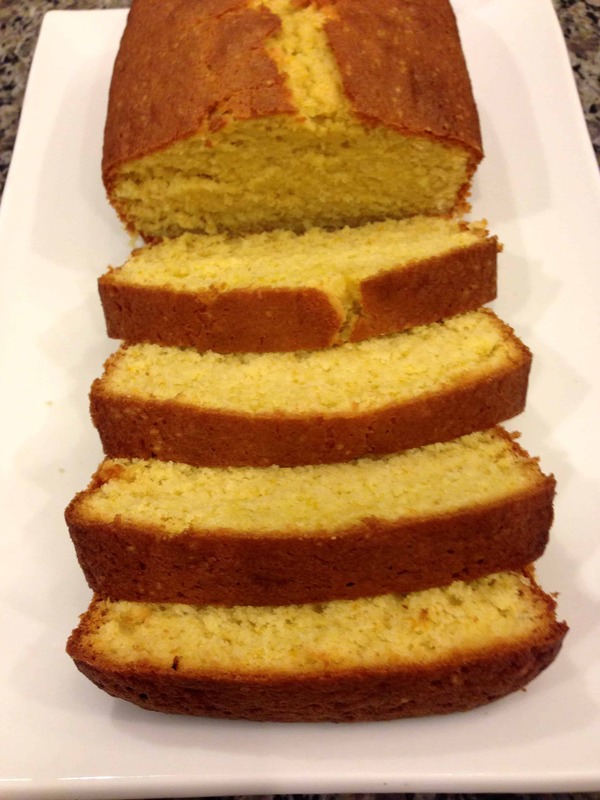 I have this pound cake to thank for my blog name. Read on to find out why and to get the delicious recipe. 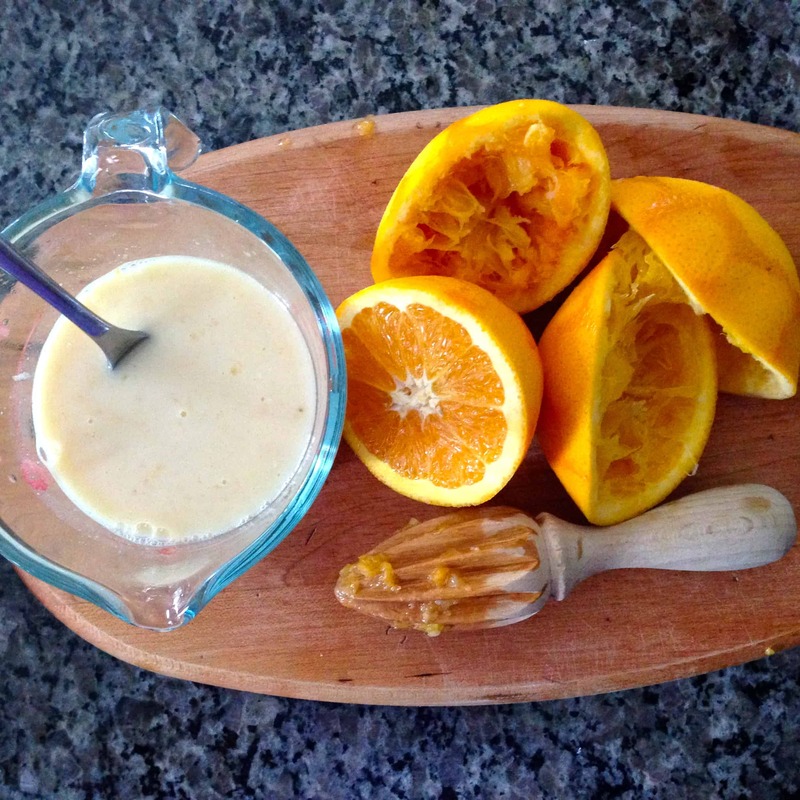 So, one morning I woke up thinking about orange pound cake. Maybe I was dreaming about it (it’s pretty darn dreamy…). If you’ve ever had an Orange Julius or a Dreamsicle, imagine that taste in cake form. The tart orange/sweet vanilla combo… Are you imagining it? Ok, that’s why I wake up thinking about this pound cake. Happily, I had a few oranges in the back of my fridge, and goodness knows I had butter, flour, and sugar. With a few more pantry staples gathered, I whipped up my dreamy cakes. 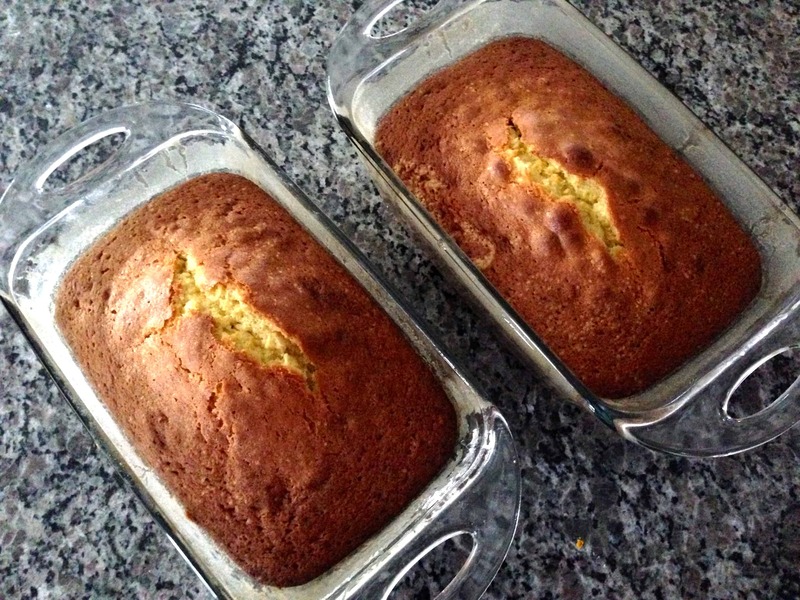 After baking my beauties, I sent a picture of them, still warm from the oven, to a friend and wrote, “Orange pound cake, on a whim!” (with an overly cheerful emoticon, I’m sure). The reply was, “You’re the only person I know who makes orange pound cake on a whim!” And that’s when the light bulb went off. “That’s it! !” I thought. Or maybe I said it out loud. Who can remember? I will thank that orange pound cake craving for the rest of my blogging life. It only seemed fair to let it be the subject of my very first post. 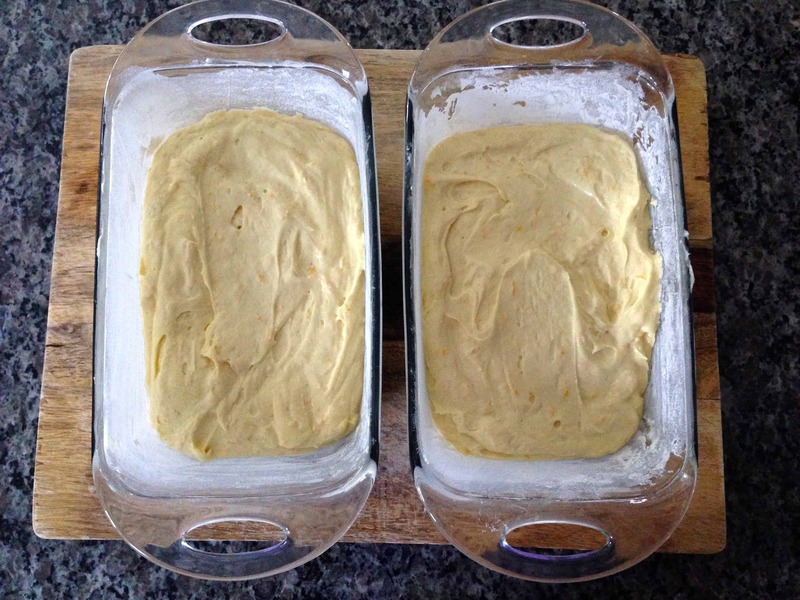 This recipe began as The Barefoot Contessa’s Orange Pound Cake, (Oh how I love that woman…) I have made a few changes but she certainly deserves the credit. Here’s how I make it. Heat oven to 350 degrees. 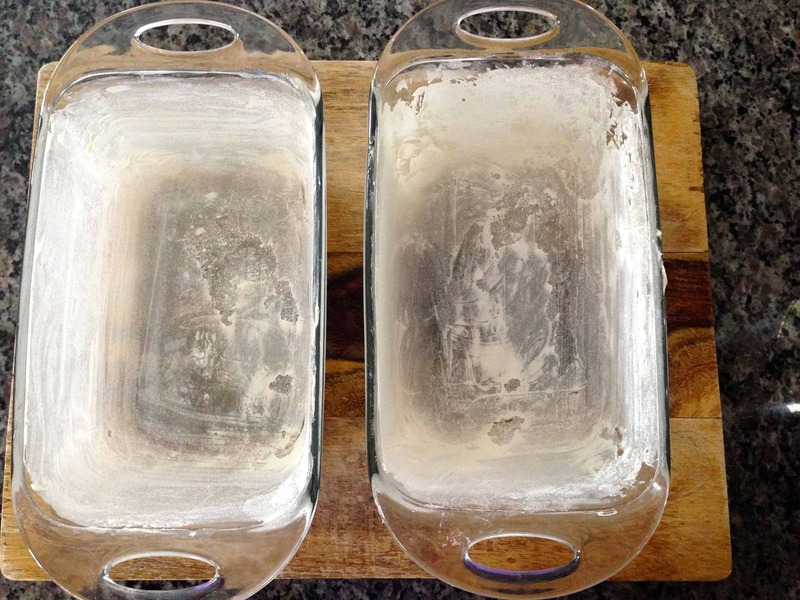 Butter and flour two loaf pans, I use the butter wrappers for this. 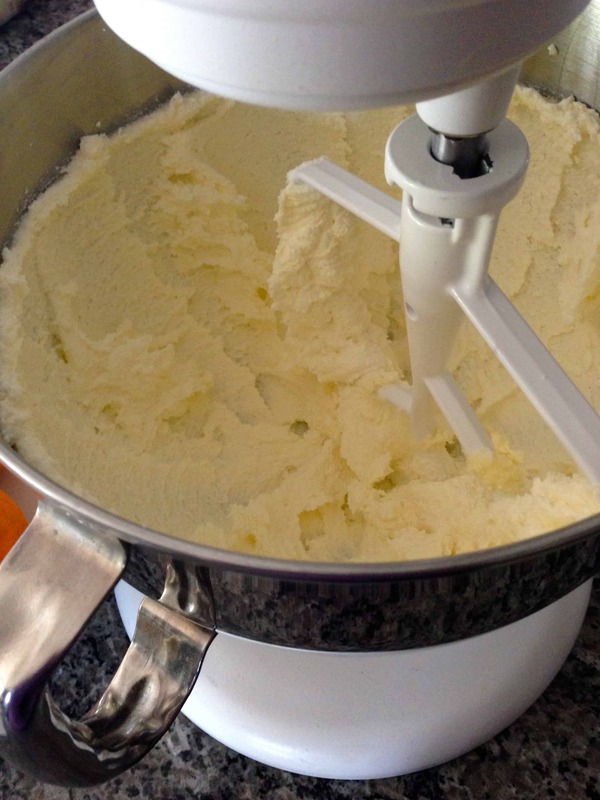 Next, cream butter and sugar in a stand mixer with a paddle attachment until light and fluffy-about 5 minutes on medium high speed. 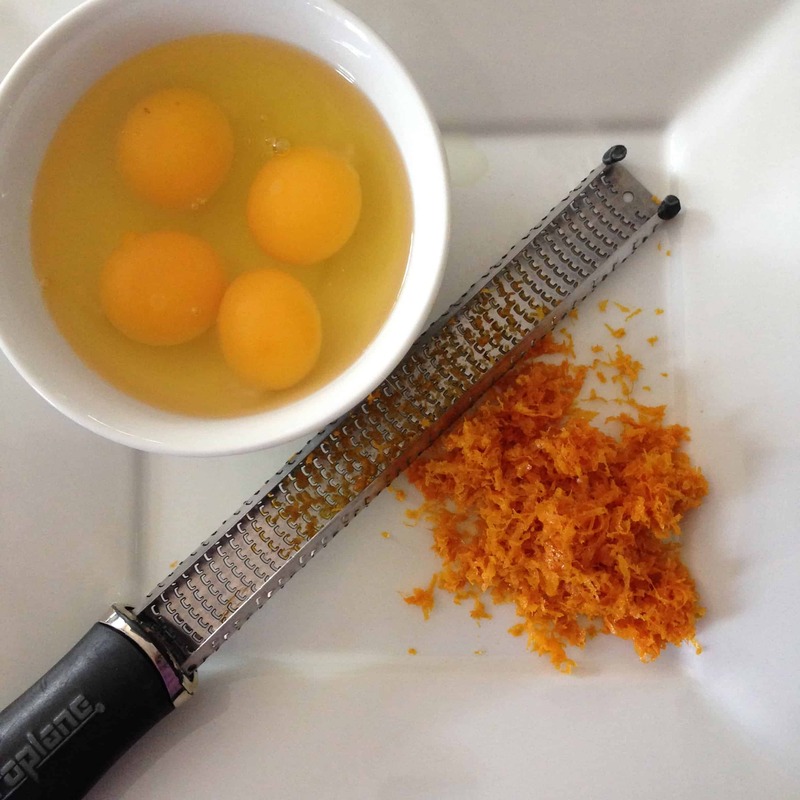 Then, with mixer on low add eggs one at a time(ish) and orange zest. Scrape down sides. 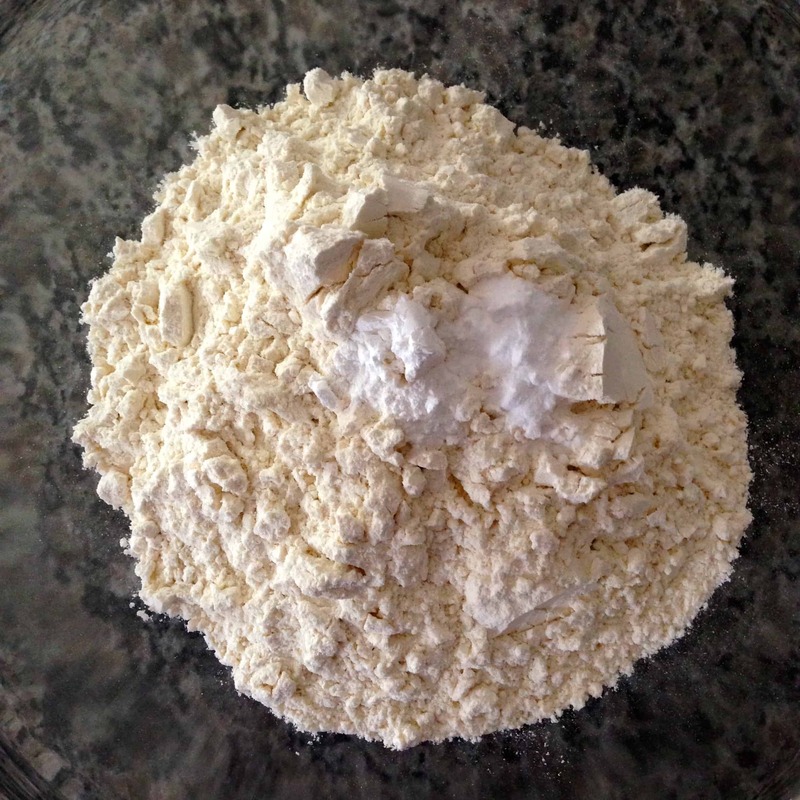 Combine dry ingredients (flour, salt, baking powder, baking soda) in a bowl, and in a separate bowl or measuring cup combine yogurt (or buttermilk), vanilla, and orange juice, whisk to combine. 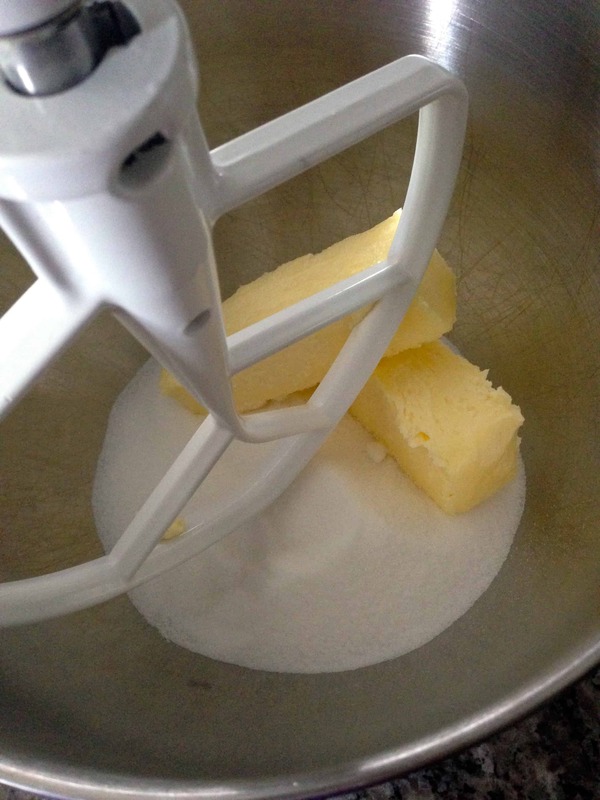 With the mixer on low add the wet and dry mixtures alternately, beginning and ending with the flour. 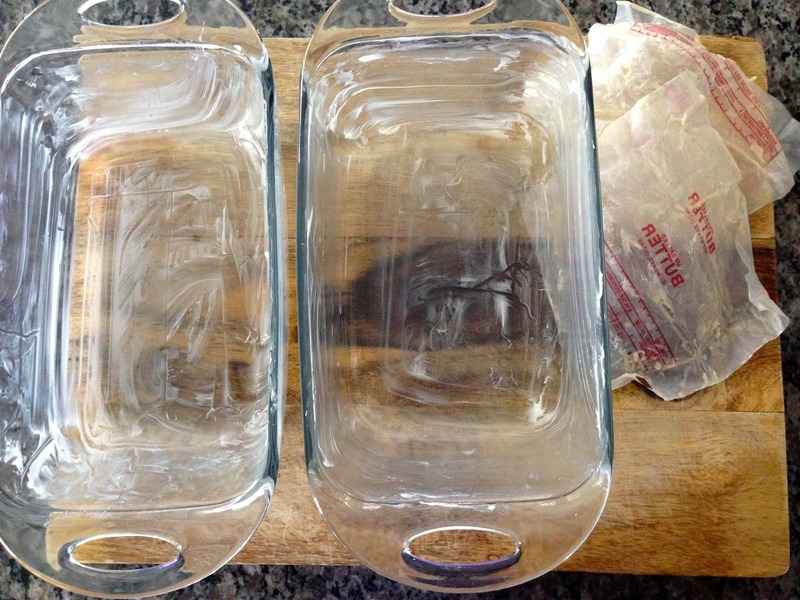 (I used to think this was an unnecessary, fancy cake baking step, but it really makes a difference… don’t ask me why). Don’t overmix. 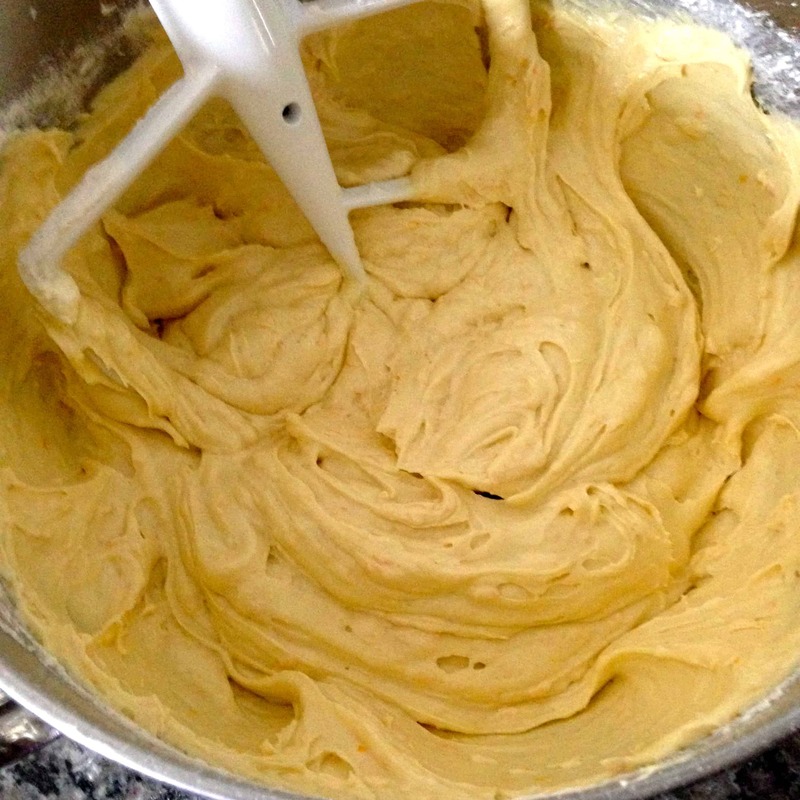 Remove paddle attachment and give the batter a good top to bottom mix with a rubber spatula, then divide evenly between the two pans. Bake at 350 for 45 minutes to an hour while you enjoy the buttery orange and vanilla scented aroma floating through your house… When your cakes are done a toothpick will come out with a few moist crumbs attached. Let cool slightly in pans, and enjoy. Ani, best of luck on your new blog.